As winter approaches, it is time to focus some attention on energy optimization and lowering energy bills ahead of the costly winter months. Getting your home ready for winter is just part of homeownership, and the more thorough your preparations, the more impact you will have on your heating bills. There are many reasons to replace the vinyl siding on your home, and improved insulation is one of the main ones. If your current siding is damaged, has peeling paints, or most worryingly, is showing gaps between the siding and your home, it is likely time for replacement. Advanced Window Products is your professional partner in getting your house ready for the cold! You may not have known that in addition to window and door replacement, the good folks at Advanced Window Products, are the area’s experts on vinyl siding replacement. Why is Vinyl Siding a Great Option for Your Home? Vinyl siding is a very resilient and sturdy product to use for your house cover. It also provides the added benefit of never having to paint your home again! The interlocking design of vinyl siding that Advanced Window Products recommends is very attractive, and requires no nails or excessive caulking. Vinyl siding provides water resistance, and increased energy efficiency due to the effective insulation and the well-designed construction of the product. Most of the product lines that are available on today’s market come with a lifetime warranty to increase your peace of mind. When choosing your design, don’t forget to take a good look at the vinyl trim that can give your house a distinct and beautiful look, and really boost the curb appeal! Autumn is one of the best times of year to replace your vinyl siding, since scheduling is usually less busy, though installation during the cold winter months can be complicated. Vinyl siding, when it becomes cold, is very rigid and subject to breaking, so it’s important to trust a professional who understand how the product works. The most compelling reason to replace or install vinyl siding prior to winter is the added insulation, by updating your siding, you will be sure to lower your heating bills during the winter months. Before the winter chill sets in, workers are able to be outside for longer periods of time, and will be able to complete your installation that much quicker! During the fall months, children are back at school, and there is a bit of a quiet lull before the festivities of the holiday season begin. Wouldn’t you love to see your installation completed in time to show off your updated home to all your holiday guests? 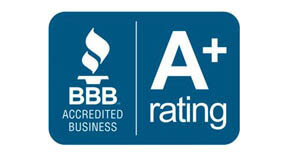 Advanced Window Products is one of the top contractors in the state of Utah and is here to help! If you have noticed any of the above signs that it is time to replace your vinyl siding, schedule an appointment online, or give us a call at 801-505-9622 today! Advanced Window Products are known as Utah’s leader in window replacement, but don’t forget that in addition to window and door replacement, they are vinyl siding experts!